On December 22, 2017, the President signed into law the Budget Fiscal Year 2018, which made drastic changes to Internal Revenue Code (“Section”) 163(j). It is important to note that if the gross income of the taxpayer in question is less than $25 million, these new rules do not apply to you. If you have a question about the Section 448(c) Gross Receipts Test, contact our firm to schedule a free consultation. Section 163(j) is sometimes referred to as the “earning stripping limitations” since the legislative purpose is to prevent erosion of a company’s taxable income through clever over-leveraging with excessive debt capitalization. Basically, you load a subsidiary with so much debt so that when it makes $100 of profit, that profit is zeroed-out with a $100 deductible interest payment to a foreign parent company; preferably in a treaty jurisdiction for which the income tax treaty lowers the withholding rate. The U.S. subsidiary now shows zero taxable income. This is the scenario the original Section 163(j) sought to prevent by analyzing the company’s debt-to-equity ratio. The new Section 163(j) basically limits your ability to deduct business interest to 30% of your “adjusted taxable income;” however, that’s a gross oversimplification meant for introductory purposes only. Firstly, it’s important to understand the legal definition of business interest. Secondly, business interest income is effectively added back so that it does not fall under the 30% cap. Thirdly, floor plan financing is also disregarded. Fourthly, the manner in which you calculate “adjusted taxable income” for purposes of applying the 30% limitation has planning opportunities. First, let’s discuss business interest. Basically, it’s all interest payments made by the person except “investment interest” is exempt. This is critical because Portfolio Interest has always been recognized as investment interest, which is a major planning opportunity that will be discussed in more detail below. Second, let’s discuss the manner in which a taxpayer calculates “adjusted taxable income.” The most glaring planning opportunities would be fragmenting the company to leave all income in one entity while isolating all expenses in another to artificially increase the income of the entity incurring the interest expenses, which is what Section 163(j)(8)(A)(i) specifically references by referencing any “deduction or loss which is not properly allocable” to the business. With proper restructuring with flow-through entities and consolidated compliance elections, lawful avoidance of Section 163(j) is possible. Thankfully, several businesses are exempt. Most notably, a real property trade or business can make an election under Section 163(j)(7)(B) to be exempt from the new Section 163(j) limitations. In other words, with a proper Section 163(j)(7)(B) Election, a real estate business could still use earning-stripping strategies to effectively reduce its entire U.S. tax base and pay zero federal income taxes. Other exempt businesses are farms, energy providers, and water and sewage service companies. As mentioned before, Castro & Co. has identified the Portfolio Interest Exemption as the most powerful planning opportunity to lawfully avoid the harsh ramifications of the new Section 163(j) limitations. However, as mentioned above, only a few firms in the world fully understand this elusive exemption. Our firm is one of the few. And now, we make our research public. Some foreign countries like Hong Kong do not tax their citizens on interest income from foreign sources outside of Hong Kong. As you can imagine, this makes it very enticing for a Hong Kong investor to lend money to foreign nationals in order to generate tax-free income. However, they would only want to invest in countries with a robust and comprehensive civil legal system that upholds the rule of law, which makes lending money to U.S. citizens a perfect fit. Generally, interest payments from the U.S. to foreign nationals is subject to a 30% withholding tax rate. However, income tax treaties can lower this withholding rate. However, Hong Kong does not have an income tax treaty with the U.S. since it is a Special Autonomous Region (“SAR”) for which the U.S.-Chain Income Tax Treaty does not apply. As such, Hong Kong investors established special purpose intermediaries in Luxembourg and Cyprus since those countries have income tax treaties with the U.S. that lower the withholding tax rate on interest income leaving the U.S. to 0%. Luxembourg and Cyprus also passed domestic legislation to facilitate these transactions, which is, in effect, state-sponsored tax avoidance; not uncommon for those familiar with international tax planning. With the special purposes intermediaries in place, Hong Kong investors could make loans to the intermediary in Luxembourg or Cyprus to facilitate an eventual loan to the U.S. person. Now, when the U.S. person made interest payments on the loans, there would be no withholding tax since it was eligible for treaty benefits since the destination was a company established in a treaty country that satisfied the Limitation on Benefits provision of the income tax treaty. The Luxembourg entity could then forward nearly the entirety of the interest to Hong Kong tax-free as well. In effect, it was a hop-scotch loan through a treaty country to reduce the U.S. withholding tax from 30% down to 0%. Realizing the ingenuity of this tax strategy as well as the economic benefit of facilitating foreign investment into the U.S., Congress decided to simplify the process by creating the Portfolio Interest Exemption. However, there are several requirements and restrictions; most notably that the debt obligation must be in “registered form,” which is a concept that even experienced international tax firms are unfamiliar with. Not surprisingly, our firm is one of the few in the world that understands all of the ins and outs. If the debt obligation is either (1) registered with the issuer or issuer’s agent with a clearly stated principal amount and interest rate and transferable only by surrender of the original debt instrument and reissuance to the new holder, which is like a debtor-register system, or (2) registered in a book-entry system and beneficial ownership to the debt obligation’s principal and interest can only be transferred through a book-entry system maintained by the issuer or issuer’s agent, which serves to identify and track the beneficial ownership of the obligation, then it qualifies as a registered obligation. The IRS also announced that dematerialized book-entry systems qualify as well. To learn more about these systems and how to implement them, contact our firm to schedule a free consultation. There are no longer exceptions for bearer bonds, and taxpayers that fail to comply will result in an excise tax equal to 1% of the principal amount multiplied by each year from issuance to maturity. It’s also important to emphasize that interest paid to a bank for a loan in the ordinary course of its business does not qualify. There are also limits on the use of contingent interest. Contingent interest payments are payments that are determined by reference to income, receipts, cash flow, sales, asset appreciation, etc. Basically, these are dividends disguised as interest to obtain the favorable tax treatment of interest. This also has the effect of disallowing the Portfolio Interest Exemption for Stock-for-Equity Notion Principal Contracts. Nevertheless, there are ways to structure hybrid interests to qualify. Seriously, you need to contact our firm to schedule a free consultation. It's a no-cost, no-risk, no-strings-attached consultation. However, loans with “indexed interest rates,” which are interest rates that reset and readjust frequently with reference to an index to reflect market changes in order to achieve a dividend-like effect, have received favorable treatment by implication. Moreover, mandatory convertible notes repayable with issuer’s stock or proceeds of sale of said stock have also been recognized as debt instruments by the IRS and would provide the holder with stronger corporate rights. However, a loan with an “equity kicker” will have its character bifurcated and disallowed to the extent attributable to profits. It’s important to note that these Portfolio Interest Exemption restrictions were largely considered meaningless since one could simply structure an “unrelated” financing entity in Luxembourg as in the old days. To combat the use of finance subsidiaries in Luxembourg and similar countries, Congress authorized Treasury to promulgate Multiparty Conduit Financing Transactions, which are also known as hopscotch loans discussed above using special purpose intermediaries. The regulations state that where a financing party uses an intermediary financing entity to ultimately finance the target entity pursuant to a tax avoidance plan, then the IRS can re-characterize the interest payment to the intermediary entity in the tax-favored jurisdiction as a payment to the true financing party. If the intermediary entity is a related party, then there is a rebuttable presumption of a tax avoidance plan. 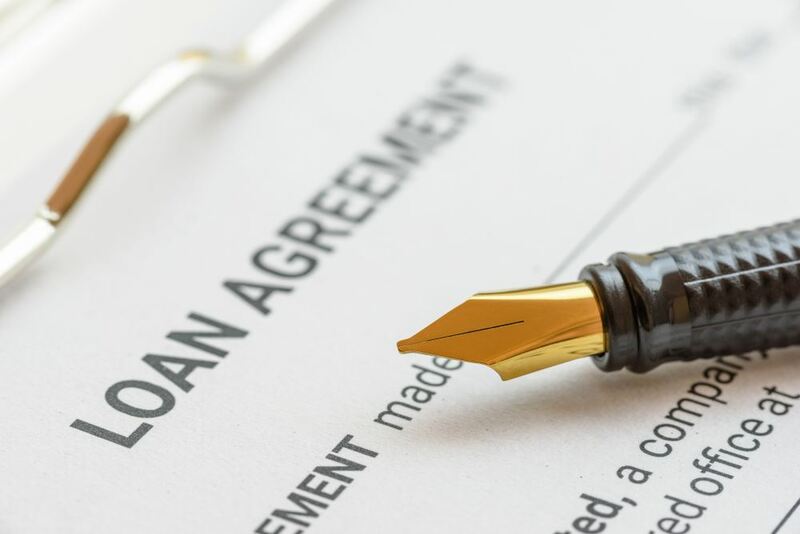 But if intermediary entity is an unrelated party and the terms of the loan are arm’s length, then it is less likely, if not impossible, to be challenged, which is simply a reflection of the inability of the IRS to detect it since it’s arm’s length and all of the evidentiary records indicating the receipt and re-lending of funds are in a foreign jurisdiction. This was proven true when the IRS was defeated in the U.S. Tax Court on this exact issue. So, as long as the financing subsidiary is structured to be “unrelated” and there isn’t a ridiculously high interest rate of 30%, it’s unlikely to be challenged by the IRS. A U.S. borrower making interest payments to foreign persons must obtain a statement on Form W-8BEN from the foreign lender that the beneficial owner of the loan is not a U.S. person, especially if the debt owner is from a treaty country and claiming a reduction in withholding tax. If a foreign corporation makes a loan to a U.S. subsidiary, then interest payments from that U.S. Sub to the Foreign Corp are subject to the gross-basis withholding tax. This is true even if the foreign corporation lends or sells the note to a third-party who then makes substantially identical payment amounts with the foreign corporation having the discretionary power to repurchase the note after a stated timeframe. This is known as a sale-repurchase transaction, and the IRS will recharacterize the substitute payments as interest payments from the payor to the true beneficial owner of the note. John Anthony Castro, J.D., LL.M., is the Managing Partner of Castro & Co., the author of International Taxation in Plain English, a graduate of Georgetown University Law Center in Washington DC, an OPM Fellow at Harvard Business School, and an internationally recognized tax attorney with offices in New York, Los Angeles, Washington DC, Miami, and Dallas. To provide feedback on this article or suggest an idea for a future article, please contact Tiffany Michelle Hunt, J.D., LL.M., Director of Tax Planning at Castro & Co., at T.Hunt@CastroAndCo.com. See PL 115-97, December 22, 2017, 131 Stat 2054. IRC § 163(j)(3) (citing IRC § 448(c)). The following are countries with which the U.S. has an income tax treaty that does not incorporate the section 163(j) limits: Armenia, Azerbaijan, Barbados, Belarus, China, Cyprus, Czech Republic, Egypt, Finland, Georgia, Greece, Hungary, India, Indonesia, Israel, Jamaica, Korea, Kyrgyzstan, Moldova, Morocco, Norway, Pakistan, Philippines, Poland, Romania, Spain, Tajikistan, Trinidad, Tunisia, Turkmenistan, and Uzbekistan. IRC § 871(h); Treas. Reg. § 1.871-14; Treas. Reg. § 1.871-14T. IRC §§ 871(h)(7), 163(f), 149(a)(3); Treas. Reg. §§ 1.871-14(c), 5f.103–1(c). See Rev. Rul. 90-27 (auction rate preferred stock is equity for tax purposes even though it is essentially short-term commercial paper). Rev. Rul. 85-119; IRS Notice 94-47; also see Monon R.R. v. C.I.R., 55 T.C. 345 (1970) acq., 1973-2 C.B. 1 (1973); Morgan Pac. Corp. v. C.I.R., 70 T.C.M. 540 (1995). See Farley Realty Corp. v. C.I.R., 279 F.2d 701 (2d Cir. 1960). IRC § 7701(l); Treas. Reg. 1.881-3. See SDI Netherlands v. C.I.R., 107 T.C. 161 (1996). Treas. Reg. §§ 1.881-2(b)(2), 1.861-2(a)(7). Posted By John Anthony Castro, J.D., LL.M.